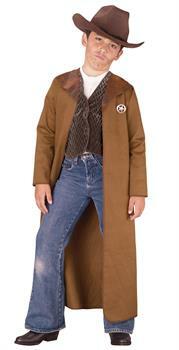 Restore law with this Old West Sheriff Child Costume. Costume includes long coat, sheriff star, vest, and hat. Does not include under shirt, jeans, or boots.